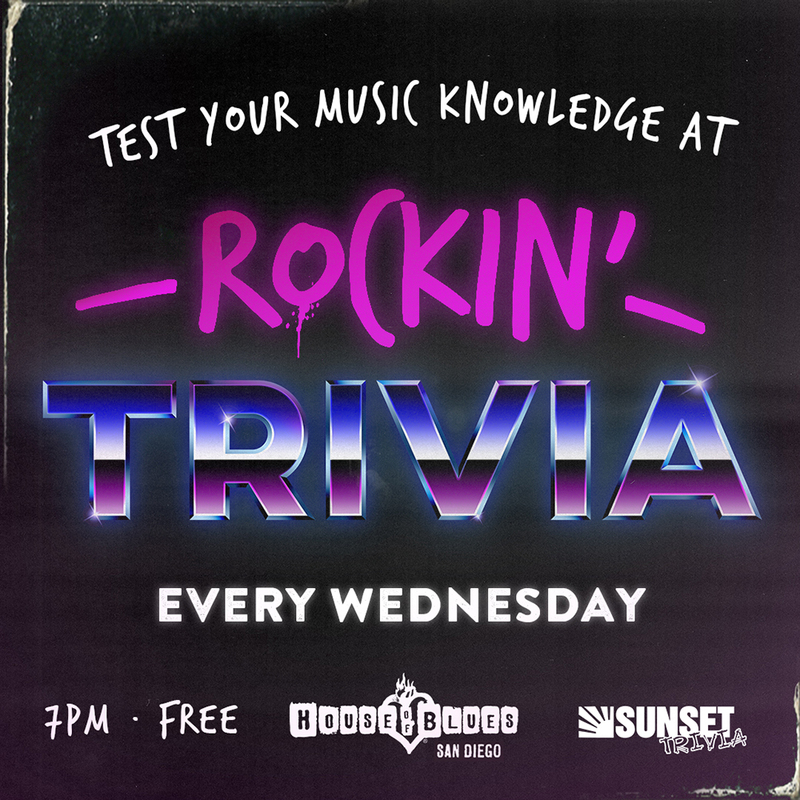 Test you music knowledge every Wednesday at House of Blues Restaurant + Bar at 7pm. Grab some friends, play trivia and enjoy drink specials all night! Enjoy a delicious cocktail before trivia. Join us for Happy Hour from 4-6pm. Check out the menu HERE.